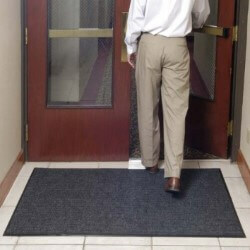 Designed for use in light to medium foot traffic areas, durable Atlantic Olefin® fibers provide moisture and dirt retention at entrances and passageways; reducing slip hazards and floor care maintenance. 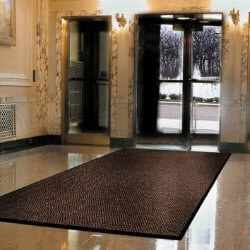 Chevron entrance mat provides distinctive styling and easy maintenance. 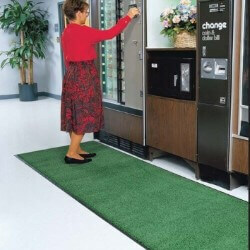 Popular Chevron carpet design effectively scrapes debris from shoes. 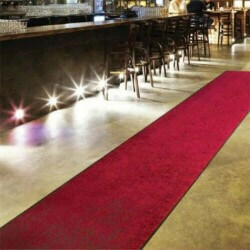 Ideal for entrance ways and lobbies. Non skid vinyl backing. With a sturdy ribbed design. 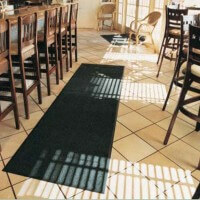 The Cobblestone Mat scrapes and traps soil within its recessed grooves. Durable 100% polypropylene face is effective against dust and lighter weight soil. Smooth non-skid vinyl backing. Easily cleaned by vacuum, hose, or pressure washer. 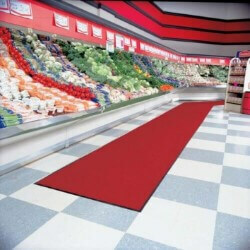 With the rich luxurious look of Berber-style carpeting for an always elegant appearance, the 1/4" Polynip™ Entrance Mat entraps and hides debris while retaining moisture at the same time. 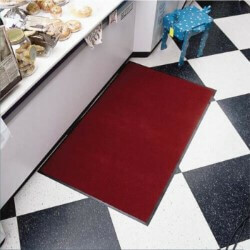 Constructed of static dissipative high-twist nylon yarn, the 3/8" Stylist Indoor Mat has a vinyl backing that works to trap dirt and moisture and is excellent for medium duty indoor use. Features superior colorfastness and ease of cleaning. Trigrip Indoor Mat is a classic indoor mat with static dissipative 3/8" nylon pile providing outstanding absorption and durability. 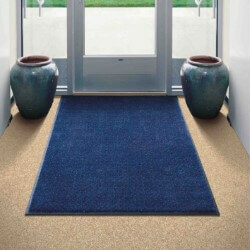 Solid rubber backing will lay flat and will not crack or curl in all types of weather.